This staging system is for indoor and outdoor use in theatres, places of education, exhibitions, houses of worship and concerts. This modular system allows the opportunity to 'mix and match' staging and accessories to build a bespoke system suitable for the needs of the user and the location. 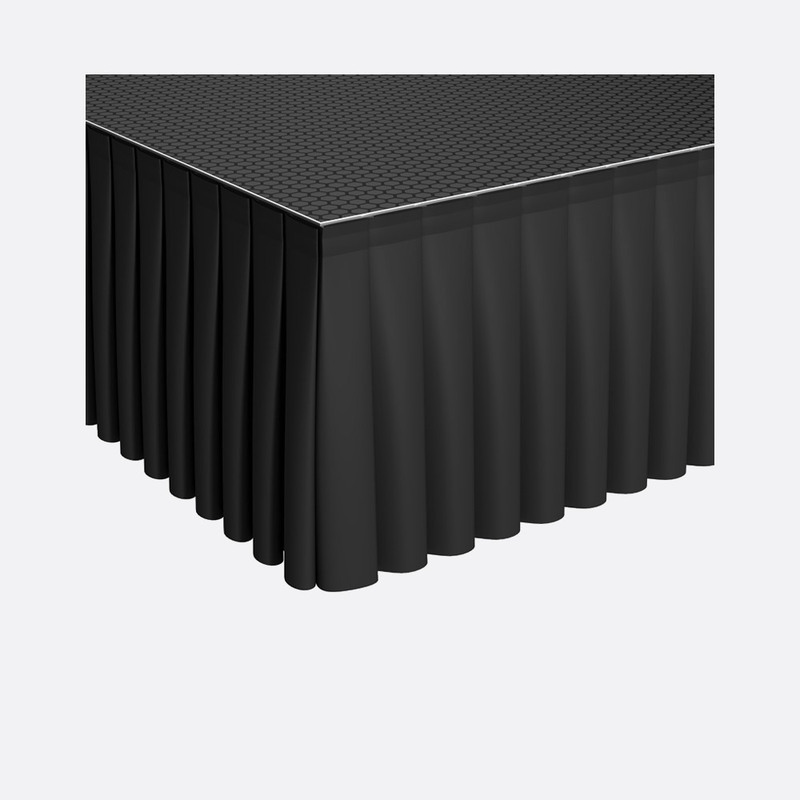 The tops are made of waterproof plywood, with an anti-slip layer, surrounded by an aluminium profile with an external 18mm notch to which accessories can be fixed. They are available with either black 'Hexa' or wood finish. 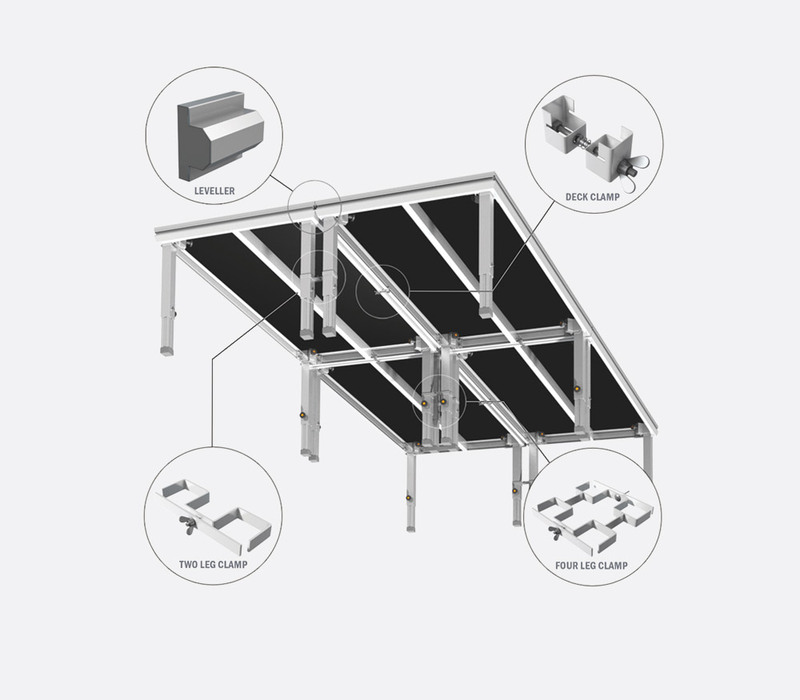 Cross beams on the underside of the top add strength and give a maximum load capacity of 750kg per square metre. The external 18mm notch on the deck profile is compatible with the GL6023 Handrail, GL6046/GL6047/GL6048 bolt on skirt bars, GL6137/GL6138/GL6139 clip on skirt bars and GLOBAL TRUSS STAGING - Skirts. Ordering note: These stage deck tops are not supplied with legs. Square legs of up to 60 x 60mm (WxD) are compatible. 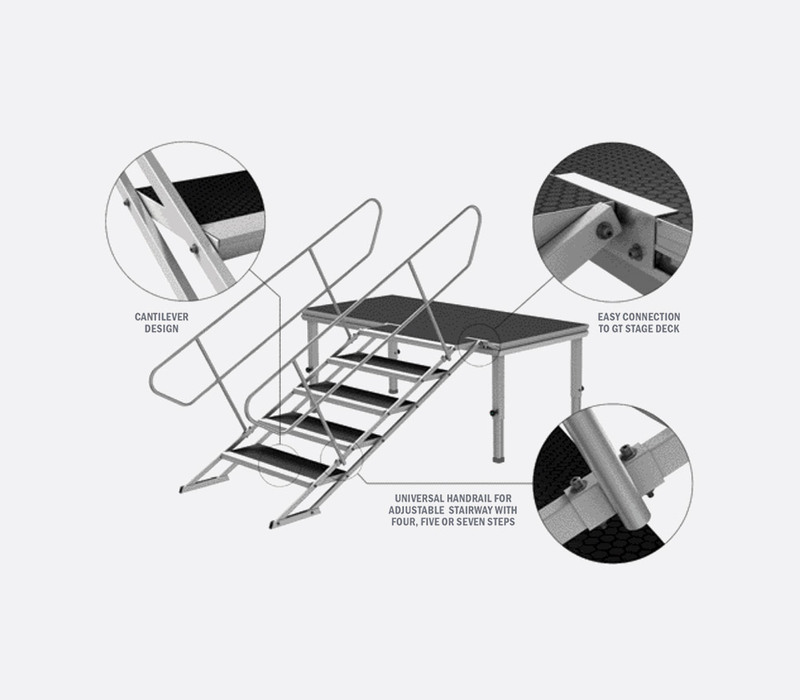 Optional accessories: Adjoining stage decks can be levelled using one or more GL6011 Deck Levellers whilst the GL6010 Stage Deck Clamp with wing-nut fastener ensures the stage decks are clamped together to prevent gaps. Fixed length and telescopic square legs of varying lengths are offered. Optional accessories: The GL6012 Two-leg clamp and GL6013 Four-leg clamp can be attached to the legs in order to add stability and strength. 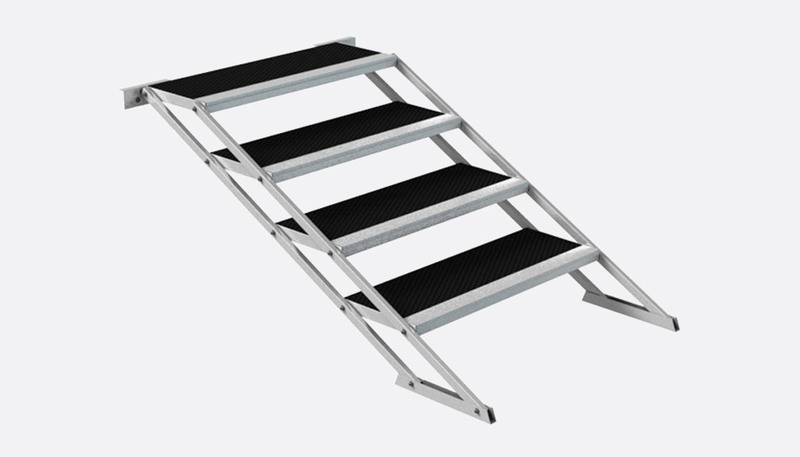 Self adjusting stairs are offered with two to seven stairs, each one with its own given height range. 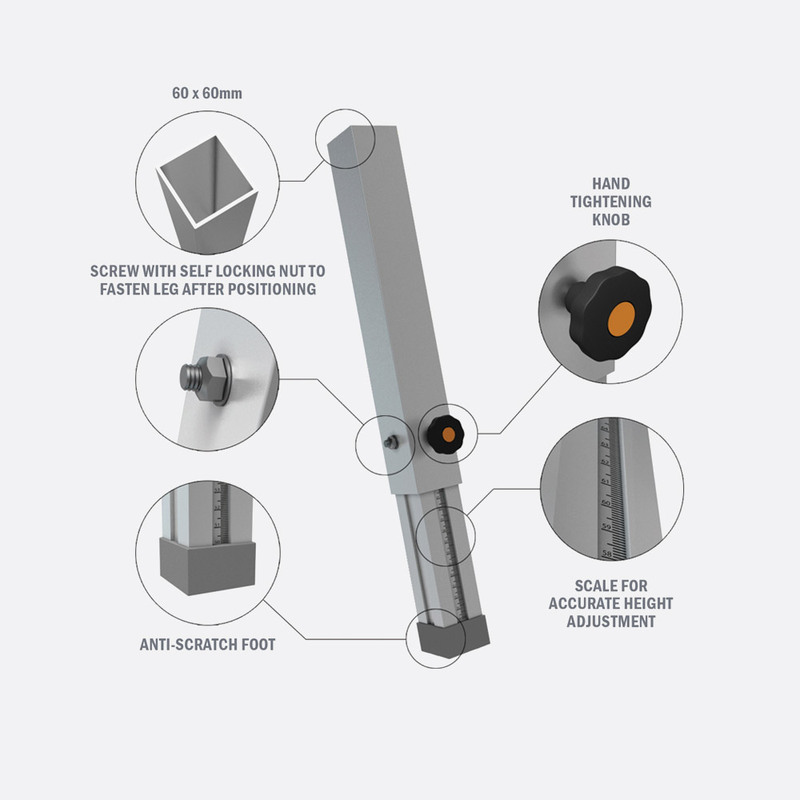 These fix to the top and have swivelling stair treads which remain horizontal while the stair is used within it's height range. 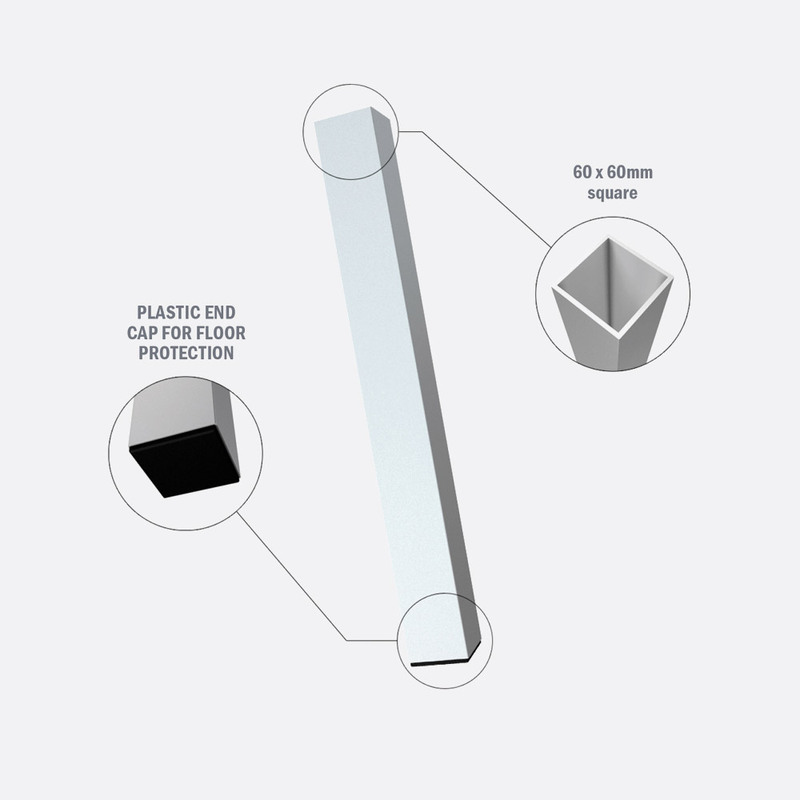 The GL6023 Handrail can be installed onto the stairs for additional safety. The GL6043 Vertical Trolley is suitable for transporting up to six 2x1m stage tops with vertical orientation, to allow movement through most single doorways.